Feed & prepare your little ones bottle with ease with the NUK Classic Baby Bottle! 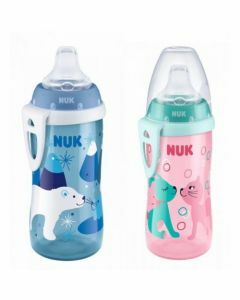 NUK Classic Baby Bottle features a new narrow design with the most natural teat yet. This easy to hold bottle have a Wide bottleneck that can be used with the NUK First Choice+ Teat, one supplied.